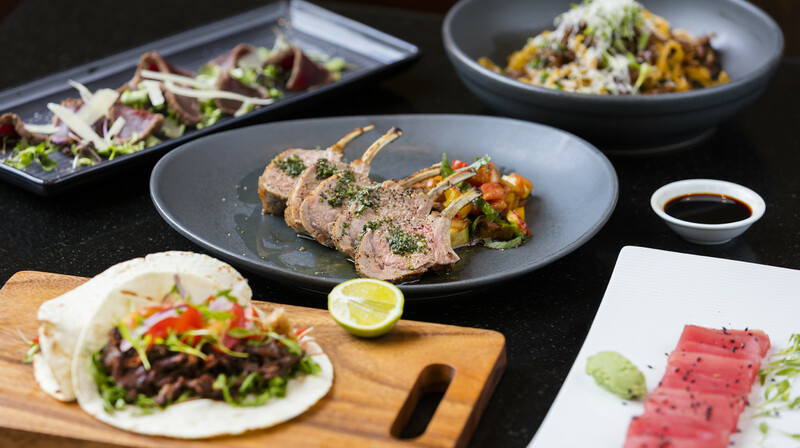 threesixty is one of Queenstown’s top restaurants and their expert team of chefs use only the freshest produce to create mouth-watering local dishes in a modern and chic environment. 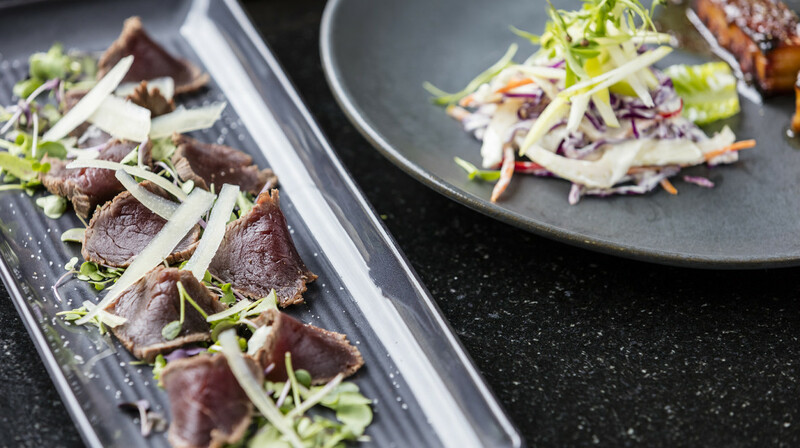 With floor-to-ceiling picture windows ensuring wonderful views of Lake Wakatipu and a friendly, welcoming atmosphere, threesixty prides itself on some of the best food and wine Central Otago has to offer; all set in a friendly, warm environment. 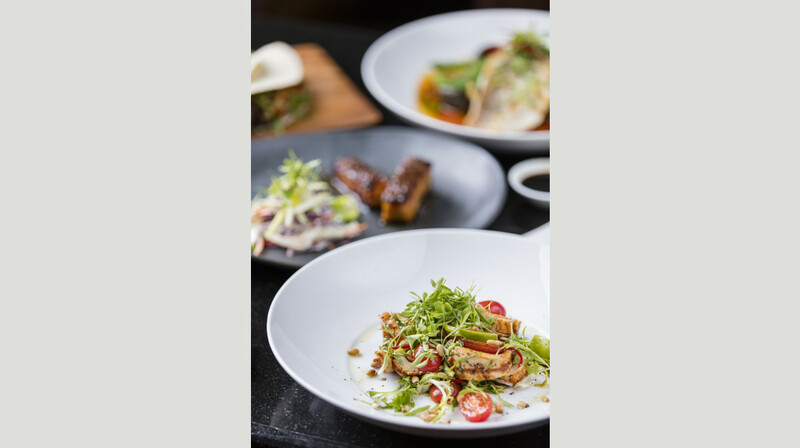 Available daily from 6pm till late, dinner at threesixty restaurant showcases some of the most innovative and freshest local cuisine. Really relaxing dinning experience with super friendly canadian waitress. Particularly good views too. Food was good service was great! Excellent food but limited choice (small menu). Wine prices are outrageous and limited choice of NZ Sauvignon Blancs which was disappointing. That’s my third visit...the food is amazing the service is so nice.very recommend. Not sure why it's not always packed in there but the service was excellent and the food great. Would definitely come back. Had one of our best meals out ever! The food was absolutely out of this world and beautifully presented. Service was fantastic, the staff were friendly and helpful. Floor to ceiling windows gave us views of the lake. Would highly recommend for a memorable meal out. 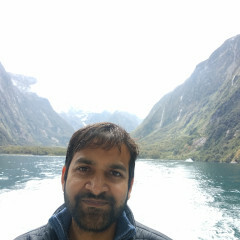 We will be recommending to family and friends visiting Queenstown. Great delicious food and lovely view of lake. . Would recommend to anyone looking for a restaurant with great quality food and a view. Quick service and friendly waitress. Amazing time! Everytime I am in Qst this place is a must stop! Great food. Loved the pork and avacado and the deserts are to die for. Great view of the lake across the road from every table. 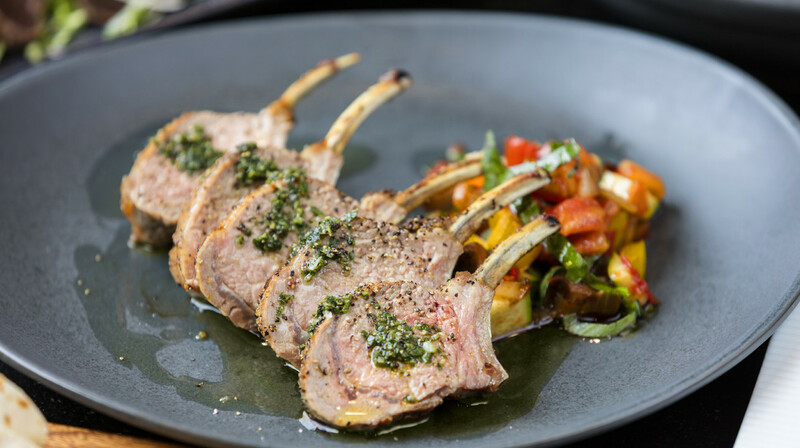 Delicious lamb meal at three sixty. Very good service and excellent presentation. We have a lovely evening, enjoyed our meals and service fantastic! One of the best meals in years. We didn’t actually get to eat anything due to a power cut the night we chose to dine at Threesixty however we wanted to leave a review anyway as we were so impressed by the way the staff handled the power outage. They were professional, apologetic, friendly, kept us well informed and generously gave us free drinks while we were waiting to see if the power would come back on. We couldn’t have received any better service and will definitely be rebooking for another night!! Great welcome, super table by the window with view across to the lake. Friendly helpful staff. Interesting menu unfortunately the execution was not as good as the menu promised, though the quality of the food was very good we had over cooked dry meat in both meals. Lack of atmosphere, we were the only dinners from 6pm till 7:30pm when one other person arrived. It deserves more customers as it’s staff, location are great. Amazing! Great food, even better service. A new menu with a huge variety of choices! A nice surprise was a complimenty prawn hors d'oeuvres. Partners steak perfect and my lamb rack awesome! Congratulations to 360 Chef and staff! All 4 of us had different meals and every one was delicious. Lovely waitresses :-). Definitely recommend. Overall 10/10 experience at threesixty. 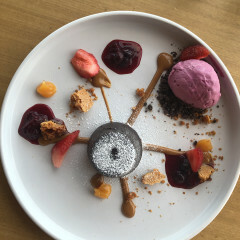 Delicious food, lovely staff and beautiful view of the lake to top it off. Would highly recommend! Fantastic food. Fantastic service I high reccomend to all. Lovely dining experience. We were seated at a table with a gorgeous view of the lake. We ordered a steak and a salmon. The steak was slightly overdone and when I mentioned it to the server, I was given a drink on the house to compensate. Really lovely service and overall a very pleasant meal. The food and the service were excellent. The waitress was extremely helpful, attentive and friendly. The Kale Risotto, octopus and pork were absolutely delicious. My friends and I thoroughly enjoyed our evening. The meals were great, the desserts divine and the staff lovely and very attentive. I like the ambience and decor of the restaurant too. Food was tasty and on time. Great table with a view. Our waitress was very nice and attentive. The food we ordered was above average. We ordered octopus, lamb and salmon. The octopus and lamb was good but the salmon was a little bit bland. The waitress Dipita was an excellent waitress and very friendly. The view from the restaurant was fantastic. The waitress was amazing lovely personality and very attentive. I have been coming to this hotel since the 80's and it does not disappoint. I probably will be back soon! The best meal ever!! Can’t wait to come back. Such a hidden gem! Both our meals were amazing and the service was great. Definitely recommend this to anyone looking for quality food in a relaxed environment. Views of the lake are an added bonus. Everything was great, honestly everything. Service food etc. Reason I gave a 3 star for service is because the person taking the order tried to remember everything and then got another staff to come back and ask for our order again. Great service and food. The menu had a slight Asian influence which made it interesting. Would come again. Everything was really good, food quality as well as the service, couldn't fault anything. I do recommend the restaurant. Thanks to the chefs and front of house, Rajiv as well. Awesome food from starters to desert. 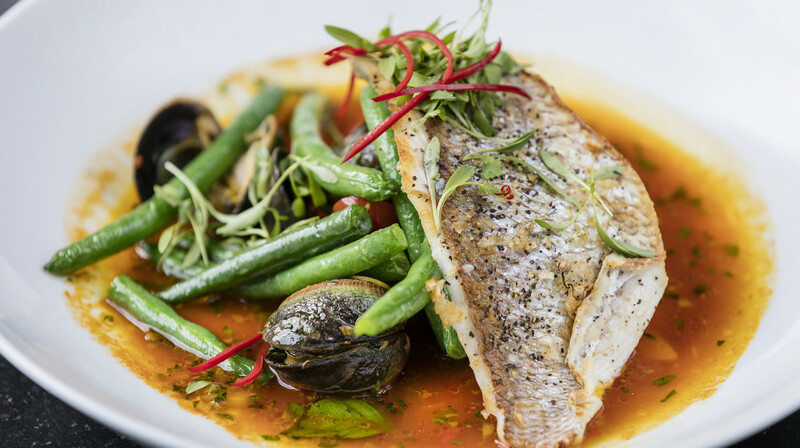 High quality and fresh ingredients made into creative dishes to remember. Can highly recommend. Wonderful setting and delicious food. 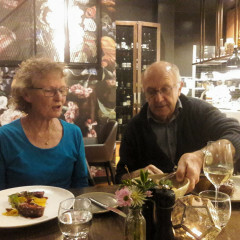 We chose the pork belly for entree, the Scotch fillet and octopus for mains, and passionfruit creme caramel for dessert. The Fijian waitress we had was delightful and catered for our 3 year old with colouring in as well. Lovely service and beautiful scenery. It was very much like their name all rounded in all aspect. Very good one. The service was impeccable. Very attentive and polite and even had a birthday surprise for my daughter at the end of our meal. Lovely, we will be back.